The Kipling Booster Station project was an upgrade to an existing facility within the City of Medicine Hat that included complete replacement of the foundation, interior piping, mechanical equipment, instruments and MCC. 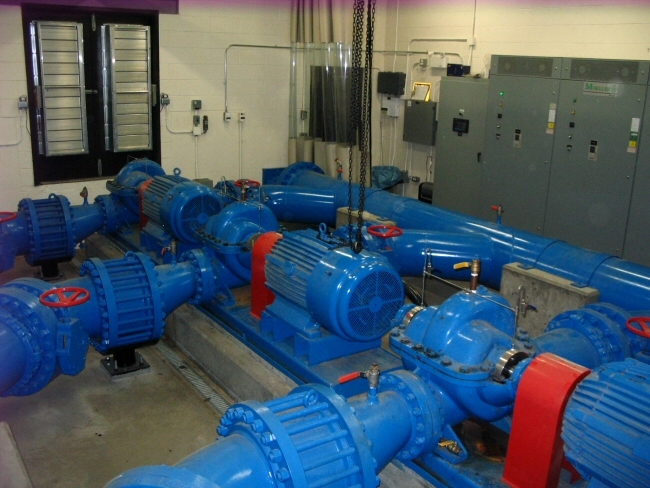 Three 200 hp pumps were installed complete with 600mm suction and discharge headers. The working capacity of the station totals 71 MLD (820 l/s) with a 40psi boost in pressure. A remote pressure transmitter was installed sending pressure information from the downstream distribution system back to the station. This information is used to control pump speeds accordingly. A bypass was required around the booster station during construction to provided adequate flow during low (winter) demands. Work involved the installation of two 70m deep production water wells. Involved installation of a chlorination/filtration building to house two iron and manganese removal steel filters and an Accutab Chlorination system. 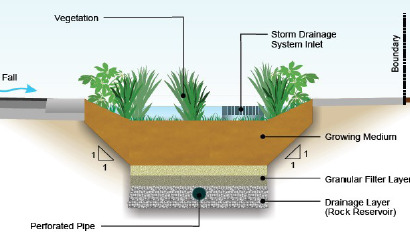 A 910 m3 underground concrete potable water reservoir was installed with a pumpstation building directly above it. 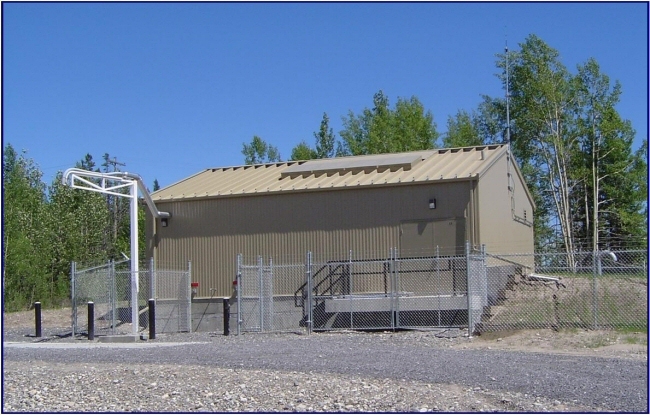 The pumpstation included two distribution pumps, fire pump, MCC, SCADA system, truckfill and bucketfill station. The work also included the installation of approximately 4.5km water pipeline between 50mm and 200mm diameter.